The Short Version: In 2010, Lukas Dryja and Tyler Rooney founded Format to give creative professionals access to a website builder designed with their needs in mind. The site’s intuitive tools allow professional and amateur photographers to build websites where they can showcase and sell their work. 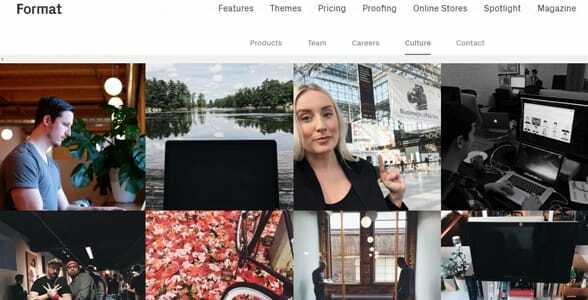 Many photographers, designers, and other visual artists have flocked to this user-friendly website platform, and the bootstrapped company has grown rapidly because of its dedication to building powerful tools and providing impeccable customer service. Over the years, Format has helped creative people in 190 countries establish an eye-catching online presence. The company now boasts a 95% satisfaction rate. Wedding photographers can subscribe to Format (or use the 14-day free trial) to create a beautiful online portfolio in just a few clicks. It’s an easy, fast, and affordable way to jump-start your photography business. At first, his portfolio was whatever pictures he had on hand. He’s not the most tech-savvy person, so it took him awhile to set up his own website and put together an online portfolio. A niche website-building platform like Format could’ve saved him a lot of time and trouble by streamlining the process of creating a personalized and professional-grade website. 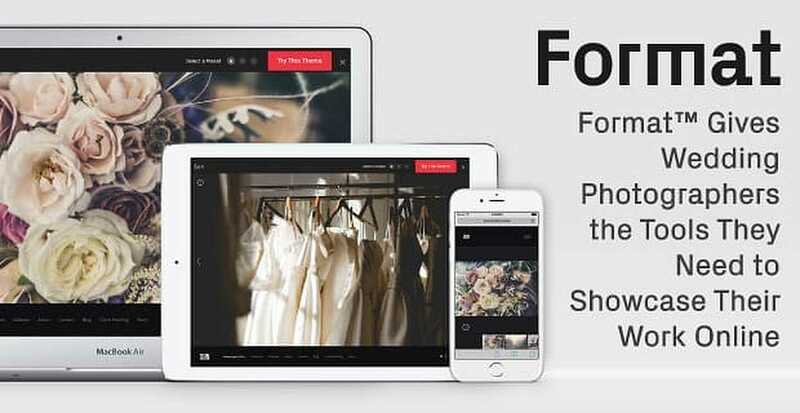 Format offers customizable website-building tools for wedding photographers and visual artists. Founded in 2010, Format is a bootstrapped company designed to serve a community of creatives who sell their services and attract customers online. The team helps thousands of professional and amateur photographers set up a domain where they can showcase their work and market their services. 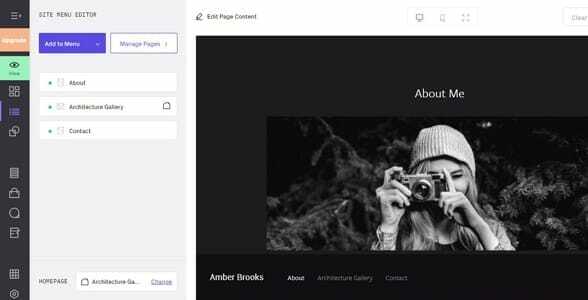 Format takes an all-in-one approach to website creation — so you have everything you need to build a professional photography website complete with beautiful photo galleries and an online store. Format has four monthly subscription plans that range in price from $6 a month to $44 a month. All plans include 24/7 customer support, a free domain signup, unlimited bandwidth, and client proofing (the ability to allow clients private access to review, favorite, and download images). The most affordable plan is the Personal Plan, which includes 100 images, unlimited pages, unlimited videos, and three store products. You can put together a beautifully designed online portfolio within minutes using the website templates and mobile-friendly design in this basic plan. The Unlimited Plan offers everything the Personal Plan does plus unlimited images, unlimited store products, and custom CSS and HTML editing — so you can grow your site without restrictions. Format offers a 14-day free trial for all its paid plans, so you can test out the services and see what you think. Wedding photographers can use Format to create a website, add custom content, design a photo gallery, and build an online presence. You don’t need to know anything about designing a website to use these beginner-friendly tools. Within a few clicks, you can set up an About page, create a photo gallery, add videos, and put together a customized online portfolio. 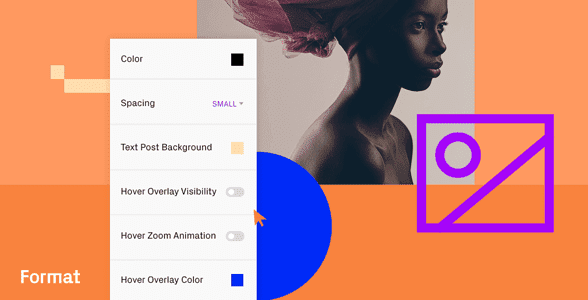 A simple drag-and-drop system helps creatives organize their galleries with no muss and no fuss. You can even set up an online store. By presenting your online portfolio in the best possible light, you can positively influence a potential client’s decision to hire you. A clean website enhances your work and distinguishes you as a professional. Zaeem described the Format team as a laid-back and passionate group of people who care about helping photographers succeed. Many team members are photographers or designers themselves — so they understand their customers’ interests and share their enthusiasm for the visual arts. Format is a Toronto-based startup run by creatives for creatives. At Format, an in-house user research team pays special attention to what customers want and recommends improvements to the company’s overall design or services. The goal is to be responsive to the needs of modern creatives, so the team is always working on something new and exciting. For example, the Format team expanded their influence by creating Format Magazine — a free online resource for the visual arts community. The online publication features the stories of professional photographers, illustrators, and artists from around the world. Its guides, galleries, interviews, videos, and news articles promote the work of creative people who offer a unique perspective on the industry. “From colors to fonts, I can customize every part of my portfolio without needing to code at all,” said Hudson Christie, an illustrator who uses Format’s tools. In 2017, PROFIT 500 named Format one of Canada’s fastest-growing companies. CEO Lukas Dryja and CPO Tyler Rooney, who co-founded the company, have been able to sustain such growth while remaining true to the company’s bootstrapped roots. The leadership team continually reinvests Format’s profits back into the company and its community. The Format team is so sure you’ll love their website-building platform, they offer a money-back guarantee. If you’re not completely satisfied with the service, the team will refund any payment you made within the last 30 days. You can also downgrade or cancel your account at any time. Once you cancel, Format will show an “Account inactive” message on your website’s domain. If you do not renew your subscription within 60 days, the site will be removed. For visual artists, a good portfolio is like a good résumé — it can impress people and open doors if you can make it look professional and polished. A strong online portfolio can encourage potential clients to get in touch and hire you on. But not all professional wedding photographers are also master web designers. That’s where Format comes in with user-friendly website-building tools. You can sign up for a free trial and build a website that fits your particular style and needs. You can even set up an online store to sell your prints. Format doesn’t take a commission from any sales nor does it overwhelm photographers with features they don’t need. The streamlined interface makes creating and running a website much simpler so photographers, like my friend, can focus on their craft and grow their reach online.